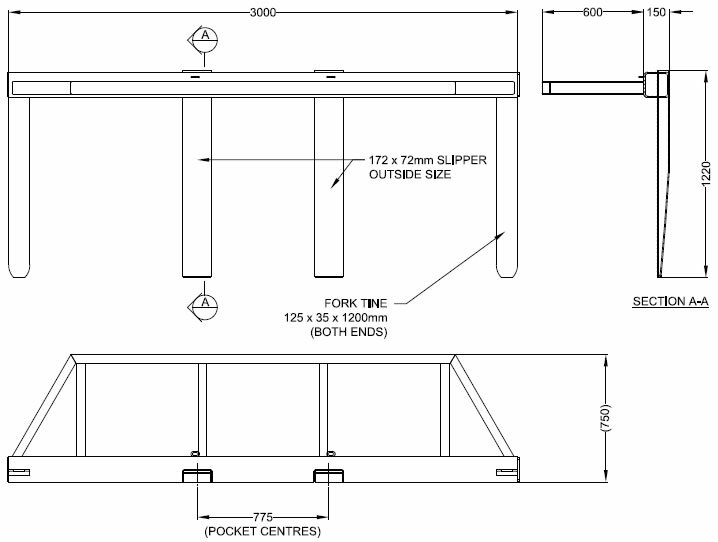 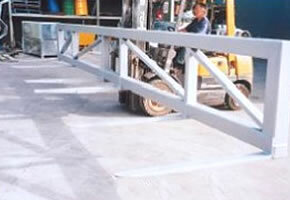 Forklift spreader bar allows you to safely pick up extra wide or flexible loads without the risk of damage to products such as plasterboard, roof sheeting, timber, plaster tubing etc. 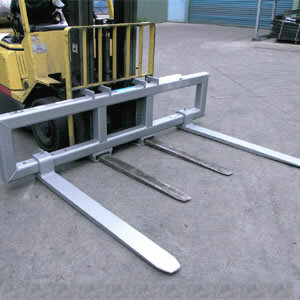 The Type FS fork spreader evenly distributes the load over the length of the attachment. 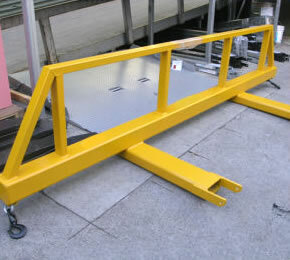 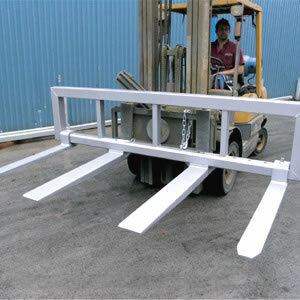 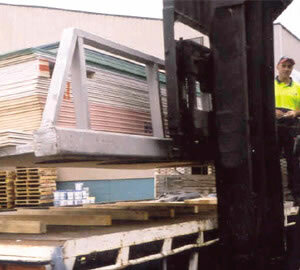 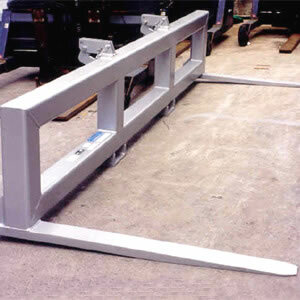 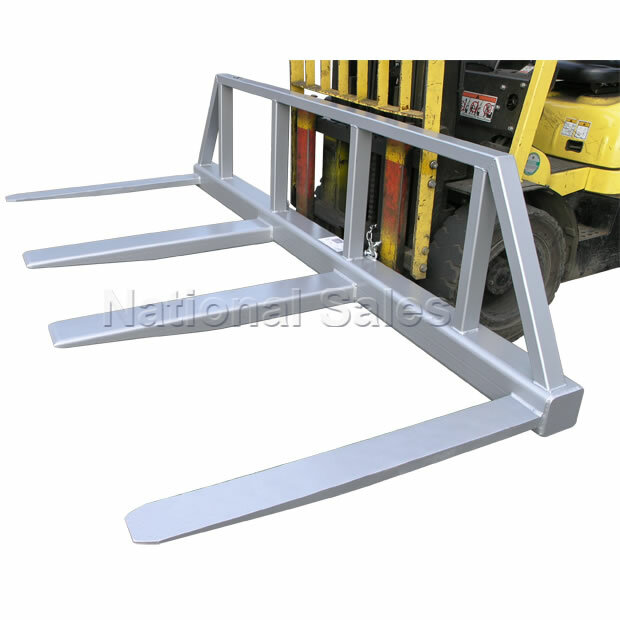 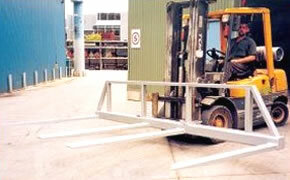 The slip-on forklift spreader bar attachment is secured to the lift truck by a safety chain. 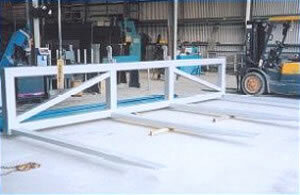 Other long models, without centre tynes, shorter also available on request. 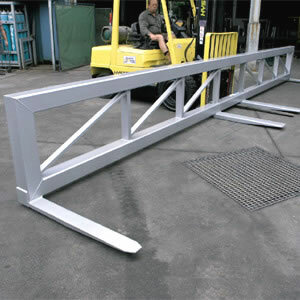 See photos above.